LANG AG will stock and distribute DynaScan’s professional “DS²” line of video wall and ultra-high brightness (UHB) LCDs. DynaScan Technology today announced LANG AG as a distribution channel partner for its line of premium public displays in the DACH (Deutschland, Austria & Switzerland) region. With a strong focus on high quality products and services, LANG was chosen for its ability to promote the company’s growth of professional LCD products in the German market. The company will stock and distribute DynaScan’s professional “DS²” line of video wall and ultra-high brightness (UHB) LCDs. 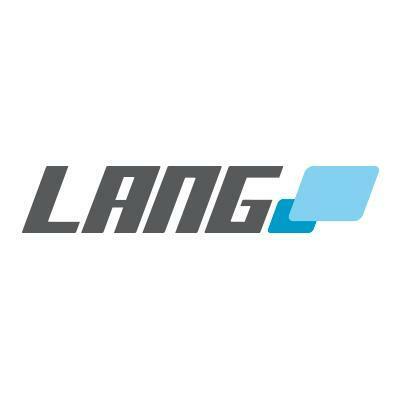 Founded in 1978, LANG AG is one of Europe’s leading wholesalers of visual presentation technologies. The company provides a wide variety of video solutions ranging from projection systems, displays, LEDs, and image processors to touch and IT solutions. LANG AG is one of Europe’s leading wholesalers – for hire and for sale – of visual presentation technologies. As a reliable and capable partner, LANG guarantees highest quality in its product range and service. Due to continuous research and development, LANG is always at the cutting-edge of presentation technologies. Under the name SOLUTIONS, LANG AG develops, designs and produces individual product solutions for professional users in the AV industry. Due to its independence in the market and also experienced specialists as contact, manufacturers as well as customers use the intensive exchange of experience in product development, the design of projects and prior to purchasing decisions. Support services, even as an official service centre for well-known manufacturers, supplement the sales and complete the range of services of LANG AG. For more information, visit www.lang-ag.com. DynaScan Technology, Inc. is an innovative premium visual solution provider, manufacturing a full range of high bright and narrow bezel professional LCDs as well as the award-winning line of DynaScan 360° cylindrical LED video displays. DynaScan digital signage products have been installed in locations around the world for use in advertising, public information and entertainment. For more information, visit http://www.dynascandisplay.com or follow @DynaScan on Twitter.